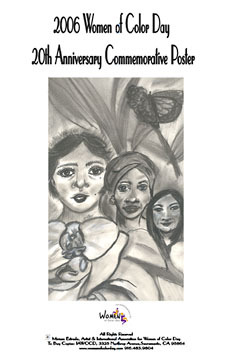 The official commemorative poster for Women of Color Day 2006 was created by talented Sacramento, California artist Miriam Estrada for this special anniversary occasion. They will be available at the event as well as by advance order. Price: $7.00 plus shipping and handling within USA.